Multiple Teams · Feb 20 Wrestlers, DeShawn Cosby and Jackson Macias head to State tomorrow! 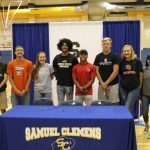 Multiple Teams · May 16 Clemens Spring Signing Day! 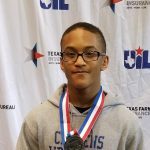 Multiple Teams · Feb 25 Freshman Wrestler DeShawn Cosby takes 2nd at State! Multiple Teams · Dec 11 Wrestling Dual at Clemens, 12/14/2017 at 5:00pm.